On 24 February 2010 when Sachin Tendulkar scored an unbeaten double century against South Africa in Gwalior ODI, another feather was added to his hat of accomplishments. His 200 not-out was widely celebrated as the first ever double century by any cricketer in ODI. His feat was followed by Virendra Sehwag and Rohit Sharma. Notably, a very few people are aware of the fact that Sachin Tendulkar is the first cricketer to score a double century in Men's ODI, but he is not the first cricketer to score a double century. It is Australia's Belinda Clark who became the first cricketer to cross the mark of 200 runs in one day international. 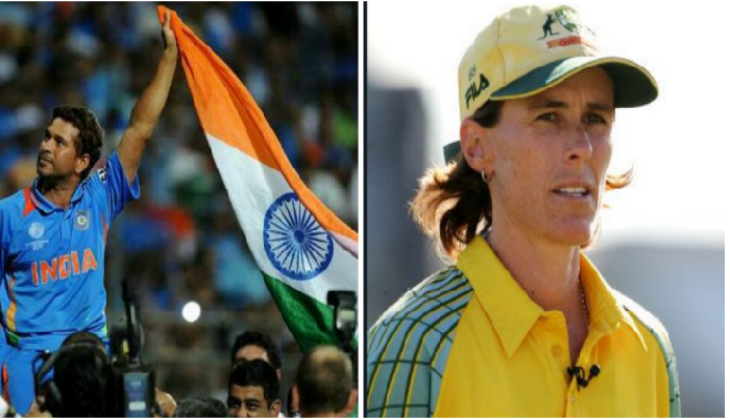 Former Austrlian skipper Clark was playing in India against Denmark in 1997 Women's Cricket World Cup in Mumbai when she scored unbeaten 229. Belinda Clark was the captain of Australian women's cricket team from 1994 to the year of her retirement, 2005. She is the first and only person to score a double century in a women's ODI. Clark started her cricket career in the year 1991 and on 16 September 2005, she announced her retirement. Clark also holds the record of maximum ODI appearances in Australia women's cricket.